When it comes to woodworking, there’s little to beat a great multi-purpose circular saw. 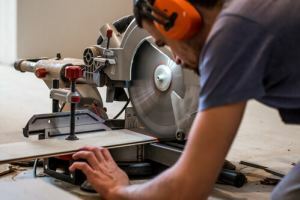 For rips and cross-cuts, a circular saw is probably the most popular power tool. As with many tools, the prices of circular saws were once too high for the average woodworker. As technology has advanced and these saws are now mass-produced, you can pick up a great model without spending a fortune. 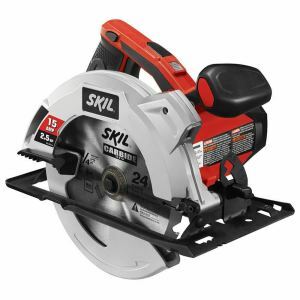 The SKIL 5280-01 15-Amp 7-1/4-Inch Circular Saw is our top pick because it stands at the top of the circular saws category with both power and precision from the 15-amp motor that kicks out a highly respectable 2.5HP. THE BEST CIRCULAR SAW: HOW TO FIND IT? 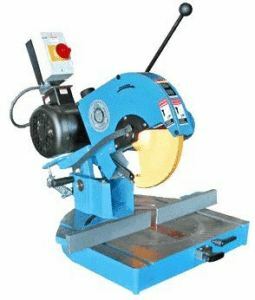 Finding the best circular saw for sale is not difficult once you know what to look for. Versatility is one of the key selling points of the best circular saw. You can take care of a wide array of tasks from rips and cross-cuts through to beveling and plunge cuts. The right saw should boast sufficient power to carve through anything you throw its way. From wet timber to denser hardwood, a circular saw should make light work of all lumber. While you can pick up extremely cheap circular saws, you’re well advised to look at more than just the bottom line. Very cheap saws will not only lack power and accuracy, they won’t last the test of time either. You are much better off saving up and getting a solid saw that won’t let you down. That is why many experts advise on buying Dewalt circular saw, Milwaukee or Ryobi circular saw models as some of the most popular brands. Today, we’ll explore 5 great circular saw reviews so that you can choose the best one for your needs. We will look at an assortment of saws at different price points so there is something for everyone. Circular saws are grouped as either sidewinder or worm drive. Sidewinders are much lighter than their worm drive counterparts. Think about how you will be using your saw. If it’s just for the occasional cut or two at home, this may not be such an issue. If, on the other hand, you’ll be using your saw at work for extended periods, weight comes to the fore. With sidewinders, the motor lies flush to the blade. Power and torque is transferred through a spur gear. The motor on worm drive circular saws is in back. Two gears set at right-angles to each other cause the blade to spin. While the speed is less than with a sidewinder (4500RPM rather than 6000RPM), you’ll experience much more torque with a worm drive. The position of the motor leads to worm drive saws being longer and much heavier than sidewinders. 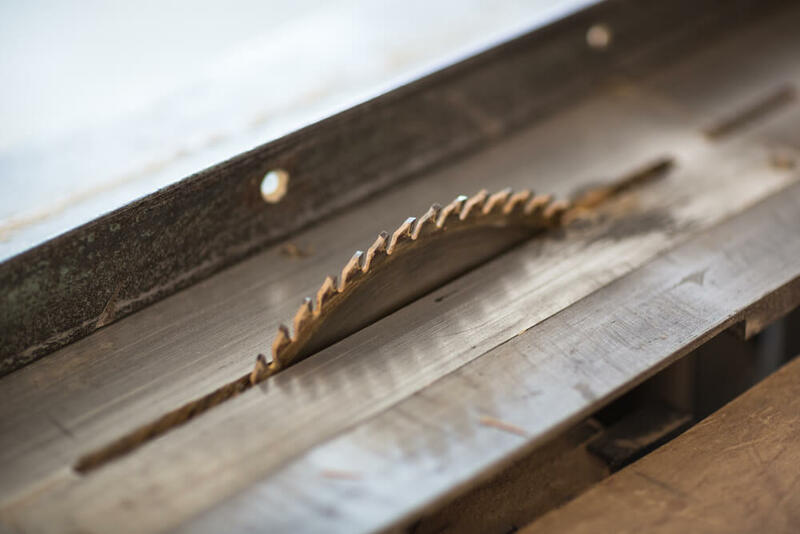 While home woodworking enthusiasts naturally choose one saw or the other, many contractors appreciate the different qualities of each kind of saw. Having one of each is a smart move if budget permits. Most power tools give you a straight-up choice between a corded and cordless model. Circular saws are no different. Corded saws are more powerful. If you plan to do most of your cutting in one place and you prize performance above all else, go corded. For stone, masonry and tiles, corded saws work wonderfully. They are also best for cutting large volumes of wood. One thing to watch out for: these cords are almost always too short. Make sure you have an extension cable to hand for more freedom of movement. Although they are normally slightly more expensive, cordless circular saws offer outstanding convenience. You will not be encumbered by a restrictive power cord and you can move around with ease wherever you want to cut. In addition to the extra expense, the serious downside of a cordless is needing to wait for the battery to charge up once it’s run down. Think about how you will be cutting and for how long. Only you know whether or not this downtime will prove to be a nuisance. For portability and ease of use, cordless circular saws win hands-down. 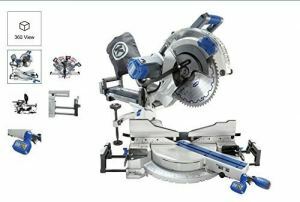 Are you on the hunt for the best circular saw? You’re in luck because there’s a huge choice of great tools available. We are here to help simplify your buying decision. First up in our look at the best circular saws is a superb 7 ¼-inch model from the highly reputable SKIL. This manufacturer manages to produce consistently high quality power tools that are great for use in the home workshop or in a light commercial setting. The 5280-01 is a beefier and more powerful version of the best-selling 5680. The 5280-01 is not only more powerful but it’s 15% lighter into the bargain for the double-win. If you want to chop your way through all kinds of wood, the 15-amp motor and 24-tooth 7 ¼-inch blade will deliver in fine style. I must say, I am very impressed with this saw!! I built a small lawn edging wall which curves a bit, and I needed to cut the capping bricks. I guess I could have rented a circular saw, but I wanted to buy one and not spend to much on one. As I researched about saws specific for cutting bricks the price started going up. You’ll get a maximum cutting depth of just under 2-½ -inches. 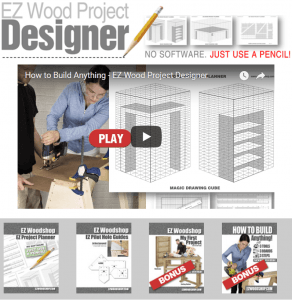 You’ll be able to churn through 2x4s with absolute ease. If you want to cut 4x4 pieces, you’ll need to make more than one pass so bear this in mind if you plan to work with chunkier pieces. This is not a flaw of the SKIL but something in common with all 7 ¾-inch saws. At 45 degrees, the depth of cut is 2 and 3/8-inches. There is a positive stop at 45 degrees. You can bevel to 51 degrees. This all comes together to give you an impressive selection of angled cuts and miter cuts along with light rip cuts and cross cuts. Whether you’re working with decking or making alterations to your home, this circular saw is a versatile ally. The blade supplied has 24 teeth and is great for general cuts with wood. It’s 7 ¼ inches in diameter. The 5/8-inch arbor hole is a standard size. An onboard wrench and locking feature makes swapping the blades quick and easy without needing to grab your toolbox. The cord is slightly too short at just 6 feet so make sure you have an extension cable. There’s little excuse for manufacturers cutting costs in this area so it’s best to be aware of this in advance. There’s an integrated dust blower that will keep all the sawdust out of your line of sight. The laser guide shoots out a single beam that makes following the cutting line a cinch. There are a couple of niggles with this laser, though. You won’t be able to see it too clearly in the sun so give this some thought if you’ll be using your SKIL outdoors on a regular basis. It’s not possible to adjust the laser either so it’s a handy function but only under optimum conditions. Added features include a safety button and guarded trigger to prevent accidental starts, lever adjustments on the baseplate and a torque clutch to minimize kickback. Safety is absolutely key with any kind of power saw and SKIL has you covered. The gear and motor housing is made from resin and the base plate is made from steel. It’s durable enough but not designed for sustained and heavy punishment. In return, though, it’s highly maneuverable and lightweight. Coming in at less than 9 pounds, you can work for a long time without feeling the pinch. There’s nothing worse than a circular saw which leaves you fatigued after half an hour on the job. A soft, padded case comes free of charge so you’ll avoid any damage to your saw if you need to carry it around. There’s a 1-year limited warranty included which allows you to buy without worrying about your saw letting you down. If you’re looking for an affordable, quiet and smooth circular saw, the SKIL 5280-01 is well worth further consideration. SKIL has a hard-won reputation for producing great tools without charging a fortune. The 5280-01 is very reasonably priced without compromising functionality. There’s nothing worse than picking up a cheap power tool thinking you’ve got a bargain only to be let down by poor performance. While it’s not cut out for heavy-duty and relentless commercial work, if you want a manageable and capable circular saw for your home workshop, it’s a great choice. Check one out today if it fits the bill for your cutting needs. 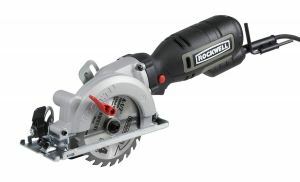 Next up on our look at the best circular saw reviews is a highly compact model from Rockwell. Every woodworker has different cutting needs and there’s a growing market for ultra-compact circular saws that don’t stint on cutting power. Depending on your intended use, this lightweight little number from Rockwell could be just what you’ve been looking for. I've used a larger 7 1/2 inch Dewalt circular saw for years. But now it's getting cobwebs because of this Rockwell RK3441K compact saw. This compacts saw is so darn handy, lays easily in my tool bag, is more convenient than my larger traditional circular saw to tot around that it's becoming my go-to saw for small to intermediate cuts in wood and metal. It has a nice /precise /quality rip fence and angle cut feature and the knobs are quick and secure to set any angle cut. While 7 ¼-inch circular saws have long been the kneejerk choice and 6 ½-inch blades are growing in popularity, Rockwell have gone for a 4 ½-inch blade with inline body styling. As well as much more maneuverability than you’ll get with a bulkier and more cumbersome circular saw, you’ll enjoy far more control into the bargain. Although this nifty circular saw tips the scales at less than 5 pounds, the 5-amp motor generates more than enough power for cutting through most wood. Maxing out at 3500RPM, you can rip your way through 2x4s without undue effort. You’ll be able to make these cuts with a single pass so you can work through larger projects without eating up too much time. It has a pretty small footprint, too. The dimensions are 18.2 x 4.2 x 6.9 inches meaning you can get into tight spots where larger circular saws would struggle. With an ergonomic, slimline handle, you’ll get a good grip without the risk of blistering your hands. At 90 degrees, you’ll get a maximum cutting depth of 1 1/16 inches. You will cut 1 1/8 inches at 90 degrees. Making adjustments to the cutting depth is a breeze. Simply lift up the lever and push the base plate either up or down to your required depth. The scale is clear and easy to read. This saw really comes into its own for rips, plunge cuts and cut-offs. The blade on the Rockwell is significantly thinner than the ones on many competing saws in this size bracket. This is another excellent way to gain control. It’s made from carbide so it’s strong as well as accurate. The left-handed design of this blade means you’ll gain a completely clear line of sight as you toil away. This is a lovely touch. Changing the blade is straightforward. There’s a push-button arbor lock taking all the sting out of what can be a fiddly and tiresome task. The inbuilt dust port is a nice touch. Since you will usually be using a small saw like this in finished areas, keeping things clean is a must. There’s also a vacuum adapter you can attach to the extraction outlet so there’s no excuse for flying debris and sawdust wreaking havoc around you. Although it’s scaled down in size, you’ll enjoy most of the functionality you associate with larger, more expensive circular saws but with a great deal more versatility. Corded tools invariably offer more power but one of the drawbacks is that many manufacturers cut the cords too close. With a 10-foot cable on the Rockwell, you’ll get ample freedom of movement even if you are restricted to a power outlet. You can buy this saw as bare tool or with the blade provided. There’s a parallel guide thrown in. This helps considerably when it comes to making straight and long rip cuts. Rockwell provide a top-notch 3-year limited warranty which is an unexpected bonus for a saw at this price point. If you want a supplementary circular saw, the Rockwell makes a fine choice. It won’t make the grade for large commercial projects but for small DIY jobs in the house, its portability is a complete winner. For regular cutting with smaller pieces of material, the RK3441K will not disappoint. With any saw of this size, if you keep your expectations pegged realistically and don’t expect a monster built for the job site, you’ll be pleasantly surprised. Where a regular circular saw will generally be stored away and in need of setting up, if you’ve got some modest cutting tasks to take care of in a hurry, you can just whip out the Rockwell and get the job done without standing on ceremony. For craft projects, light detail work or minor renovations, you really can’t ask for much more. Check out this awesome little saw today for something a little different. It delivers fully without costing you a fortune. No list of the best circular saws would be complete without the legendary DWE575SB from industry giant DeWalt. The familiar black and yellow accented tools are a common sight in the construction industry worldwide. DeWalt power tools are user-friendly enough for the home workshop while they’re rugged enough to be pressed into commission commercially. Not only this, they are fairly keenly priced too so you can’t ask for much more. For a lightweight and low maintenance 7 ¼-inch saw at a competitive price-point, the DWE575SB is safe, capable and extremely powerful for its size. Great saw. I've used it for many projects and it works very well. They say lightweight, but that doesn't mean very light. I'd say it may be slightly lighter than other models or other larger saws. I wouldn't buy it because it is supposed to be light. That said it works great. Even if you have battery tools, I think you should have a basic corded circular saw. You can use this all day long. Whether you are woodworking at home or on site, this 7 ¼-inch blade will deal with all regular cutting needs fuss-free. Suitable for a full range of cutting applications, the motor is rated at 1950 maximum watts out with a no-load speed of 5100RPM. 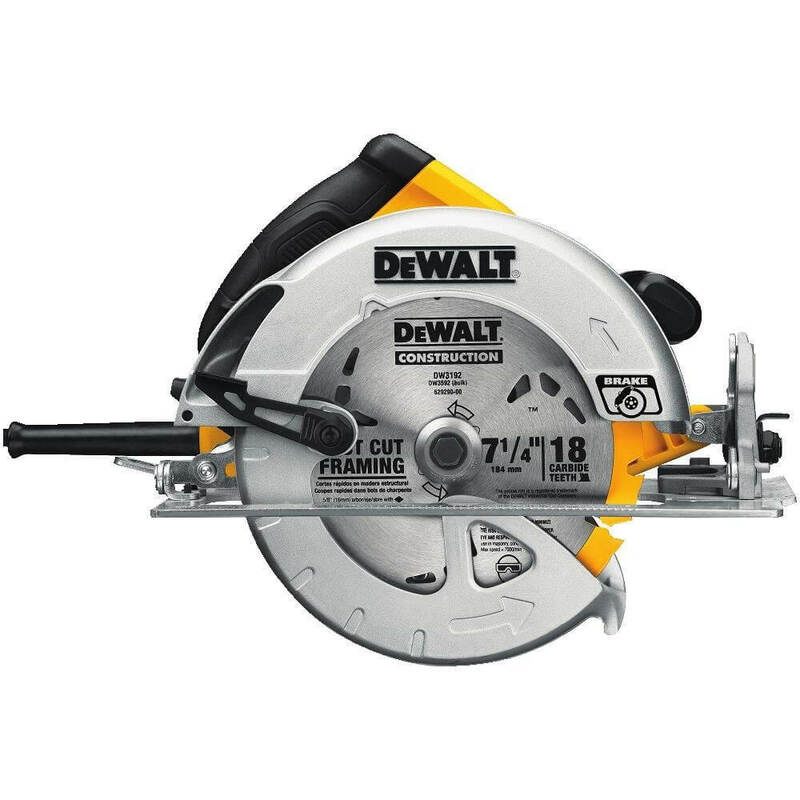 From forming concrete to framing, remodeling to exterior finishing, this rugged and versatile circular saw is a multi-tasking beauty. The use-friendly nature makes this circular saw ideal for anyone just starting out. That said, it’s also got more than enough functionality to keep more experienced woodworkers happy. This is a rare combination. Using circular saws for extended spells on the job site, particularly for working overhead, can easily and rapidly induce fatigue. Weighing a mere 8.8 pounds, you’ll be able to press on without straining your arms. Although it’s ultra-light for a circular saw, the build quality is solid so it won’t start falling apart after a few inevitable tumbles on site. With carbide tips on the 18 teeth of the steel blade, cutting is a breeze with the DeWalt. Whether you’re cutting framing material or decking, working with siding or trim, the DWE575SB takes everything in its stride. For beveling, there is a pair of detents at 22.5 and 45 degrees. Bevel capacity is 57 degrees while you can achieve a 2 9/16-inch depth of cut at 90 degrees with 1 15/16 inches at 45 degrees. The bevel lever is extremely simple to use and you’ll be able to achieve bevel cuts you’d find it hard to come up with using many competing saws. The increased bevel capacity is especially valuable for roofers cutting and framing around rafters. Safety comes first with DeWalt. With an electric brake to grind things to an immediate halt when needed and a dust blower included, you can work without worrying about having a mishap or having sawdust blown in your face. You’ll enjoy a clear sightline on your work thanks to the integrated blower and the set-up of the lower guard. The inbuilt cord protection system protects you against the cable being accidentally pulled out of the outlet while you’re cutting away. Thinking of the cord, as construction practices continue to evolve, it’s more and more valuable to have a corded saw. Materials are getting stronger, plastics more resistant and insulation better. Where once a cordless saw would churn through what you needed, it’s a smart move now to go with corded models and the extra oomph they provide. Changing the blade is straightforward. There’s onboard wrench storage meaning you won’t need to reach out for your toolbox. This is a particularly useful feature if you’re working in a commercial setting where time is money. Every little labor-saving helps. The DeWalt circular saw this model replaced had a magnesium shoe. This uprated model is fashioned from heavier-duty aluminum. Although a handful of users have complained that this is not rigid enough for their taste, we think it’s a definite improvement. For a real all-round workhorse, the DeWalt DWE575SB is a strong contender for the best circular saw on the market. While everyone has varying requirements with tools like this, for an across-the-board performer, the DeWalt takes some beating. It’s no accident it appears on just about every list of the best circular saws. 7 ¼-inch blades are incredibly common with just cause. You can take care of pretty much all of your cutting needs in one truly compact package. You’ll even get a carrying case thrown in! What have you got to lose by road testing the DeWalt? You’ll be buying into a brand you can trust beloved by tradesmen and home hobbyists alike. Check one out right here! Bosch has been producing a huge range of power tools for many decades and they continue this tradition with an outstanding 7 ¼-inch left blade circular saw. Most blades on circular saws are positioned on the right. When it’s set to the right, you can enjoy a superior line of sight as you’re working. Much like DeWalt, Bosch tools are simple enough to be used by beginners at home but packed with enough raw performance and functionality to feel comfortable on the job site. Take a swift look at the chief features of the Bosch before we probe a bit further into this excellent corded 7 ¼-inch circular saw. As a deck builder, I use this saw EVERY day, cutting extremely hard woods like ipe and garrapa. This saw, like all 15amp, circular saws can handle the wood and any kind of cut. I use only top quality Diablo blades, and regularly perform finger rips and compound miters without any issues with the motor bogging down and blade deflection. I also regularly have to rip wet PT wood, and this saw handles it all fine. This is a great saw and a great price, the blade-left design provides excellent line of sight when cutting with your right hand. The 15-amp motor on this Bosch circular saw runs at 6200 RPM so you’ll be able to make a full range of cuts with power and precision. Tweaking the depth of cut can be awkward. It’s extremely simple with the Bosch. You hit a lever and vary the depth accordingly. The blade has 24 carbide-tipped teeth. Swapping out the blades couldn’t be less hassle. With a tool-free spindle lock, you can change them without breaking your stride. The 15-amp motor runs off 120 volts and maxes out at 6200RPM so you’ll be able to make a full range of cuts with power and precision. There are beefier and more powerful circular saws out there but for this size and price range there’s a great deal of performance at your disposal. You’ll be more than able to cut through ¾ inch of plywood or dense material without getting bogged down or overheating the saw. Tweaking the depth of cut can be awkward with some saws. It’s incredibly straightforward with the Bosch. You hit a lever and vary the depth accordingly. At 90 degrees, you’ll get a maximum depth of cut of 2 7/16 inches. At 45 degrees you’ll be able to cut 1 7/8 inches and at 50 degrees the maximum cut is 1 5/8 inches. Unfortunately, there are no positive bevel stops so you won’t be able to make interim adjustments. The blade has 24 carbide-tipped teeth. Swapping out the blades couldn’t be less hassle. With a tool-free spindle lock, you can change them without breaking your stride. Loosening or tightening the blade nut lets you stop the blade from rotating with ease. Replacing the blades is a breeze and most regular 7-¼ will fit without a hitch. On-board storage allows to you keep your wrench close at hand. You can bevel to 56 degrees with the Bosch. The sidewinder of this left blade has an anti-snag lower guard. Alignment is super-simple thanks to the line guide. Use the notch on the left for straight 90-degree cuts and the one on the right to bevel. If you use your power tools for lengthy stretches, it’s important that they feel right. The soft grip of the Bosch’s handle lets you work away without any discomfort. The 9-foot cord means that although you’ll be restricted to a power outlet, you should have sufficient room for maneuver. There’s no safety switch, electric brake or rip fence but at this price point you can’t ask for much more. We should strongly stress that with no safety switch in place you should always use this circular saw with the utmost care. The dust chute is highly effective with the sawdust being channeled away from the cut line nicely. On the downside, the debris is blown straight in your direction making for messy work. This really is unexpectedly poor design from a brand like Bosch so know this in advance and decide for yourself whether this is reason enough to put you off. 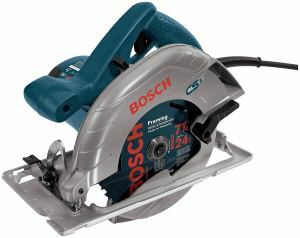 If you fancy a left blade circular saw and you want a great mix of affordability, durability and performance, take a long hard look at the Bosch. For a versatile saw at home in the workshop or on site, this corded powerhouse is a safe bet. You’ll enjoy fantastic brand heritage and a perfect balance of maneuverability and cutting power suitable for a broad spread of cutting applications. In common with all Bosch power tools, you’ll get a 1-year limited warranty. This might not be the most generous guarantee but it gives you at least some breathing space in the event of anything going amiss. Check out the Bosch CS5 today for a top-notch 7 ¼-inch circular saw to grace any toolkit. 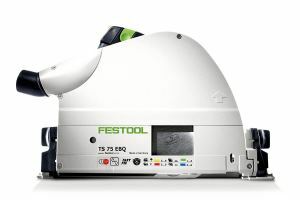 Rounding out these circular saw reviews is an industry favorite, the legendary Festool TS 75 EQ. 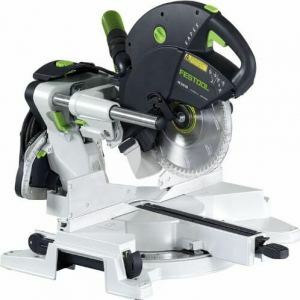 If you’re on the lookout for a first class plunge cut circular saw, Festool deliver, albeit at a price. There is no sense in disguising the fact that this manufacturer sells premium tools. The price tag reflects a superb attention to detail and build quality alongside top-tier performance. If you’re looking for a cheap circular saw, this is absolutely not the right product for you. Any of the other 4 models we have reviewed would make a better bet. 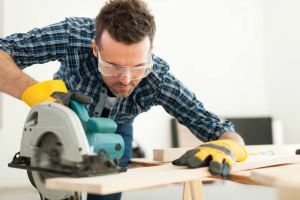 If, on the other hand, you have the budget to spare and you want nothing but the best, read on to find out what sets this circular saw above the rest. As all Festool products, this saw seems to be expensive,but not really considering the quality of the tool and its features! For overall quality, Festools are the best value for the money. trite, but so true, "you get what you pay for", and this ceretainly is no exception. The go-to circular saw for many professional contractors and home woodworkers alike is the TS 75 EQ from Festool. The stellar brand also offers a slightly smaller option, the TS 55. You’ll get an enormous amount of adaptability with this saw. Whether you’re working with rough timber or engaged in fine finishing work, cutting out steps or window frames, you’ll enjoy cuts as straight as you could make with a panel saw with all of the freedom of a more portable unit. A common issue with circular saws is their tendency to start wandering as you cut. The guides often have too much play. The nifty guide rail on the Festool mean you can get accuracy you might normally associate with a table saw or panel saw without any of the troublesome splintering that can mar your workpiece. Most circular saws don’t have riving knives but the Festool comes with a spring-loaded splitter that retracts during plunge cuts. With this saw, you’ll be able to start and finish your cut anywhere in the material. You’ll enjoy creating the cleanest of edges however demanding the material. There’s no waste either since the cuts will always be made flush to the scribe line even when beveling. There’s a small, replaceable plastic guard near the cutting edge. This helps to almost completely eliminate splinters and is a wonderful touch enhancing your finish. Not only that, you’ll save time too as you will generally get what you need done with a single pass. Cutting depth is a more than acceptable 2 15/16 inches if you are cutting without the rail. With the guide rail in place, maximum depth capacity is 2 ¾ inches. Since you only need to expose the bit of the blade needed for any given cut, depth adjustment is a cinch. Swapping the blade is a cakewalk thanks to the FastFix blade changing system. As soon as you activate this, the arbor and power switch lock up eliminating any chance of an accidental start-up. The position of the saw means you’ll easily be able to remove the arbor bolt and access the blade swiftly and expediently. MMC electronics serve you up with a shower of benefits to prolong the lifespan of your saw and make controlling it much easier. The variable speed control allows to match the speed to the application. Speed is monitored so you can rest safe in the knowledge that the blade will spin at a consistent pace even when it’s subject to heavy loads. You’ll get no overheating or overload either so Festool has all bases covered. You can put the Festool under some pretty heavy cutting action with no drop in performance. It’s a tool built for commercial use so you don’t need to hold back. It’s a very user-friendly experience with the TS 75 EQ. Swapping out the blades is stress-free and the cutting action is smooth and stable. If you often need to make cuts in the middle of wood and you want the accuracy and power that comes with a plunge saw, the Festool TS 75 EQ takes some beating. You’ll get cuts as straight as an arrow with none of the splintering, swirl or burn marks that will spoil your finish. It’s not cheap but if you plan to get plenty of mileage out of your saw, it certainly represents outstanding value for money. It’s not a saw for everyone but it’s a study in power tool excellence. If you’re looking for a great bundle deal with Festool’s dust extractor included, check out the TS 75 EQ paired with the CT 36 here. This is the bigger brother of the Festool CT 26 dust extractor and it’s a suitably heavy-duty extraction system capable of dealing with all the debris generated by this fine plunge cut circular saw. Check out the Festool TS 75 EQ today and you are highly unlikely to be disappointed. As well as a class-leading 3-year warranty, there’s also a 30-day money back guarantee that takes all the risk out of your purchasing decision. In the improbable event you feel this plunge saw is not for you, return it for a no-questions asked refund. What more could you ask for? Any serious home woodworker has a place for a circular saw in their tool kit. The beauty of these general purpose saws is that you should be able to slice your way through pretty much any wood in no time. It makes no difference how dense the timber is or what condition it’s in. Whether it’s soaking wet or riddled with knots, a circular saw will carve through regardless. Circular saws are staples on the job site and widely used throughout the construction industry. They work just as well for home enthusiasts with heavy cutting requirements. It’s also possible to get a saw and blade perfectly suited for cutting metal. You should get a dedicated blade and you should use one saw for wood and another for any trunking, conduit or metal work. We will take a more in-depth look now at some of the features you should take into account when you’re looking for the best circular saw. Price is always a driving factor so set your budget and stick to it. This alone will narrow your options nicely. In addition to researching the product itself, it pays to study plenty of user reviews. Generally, someone who has spent out good money on a product will give a fairly accurate account of their experience. Check the good and bad reviews. Pay attention to any reported downsides. We’ll walk you through some of the most crucial factors to consider when investing in a circular saw. Keeping a clean working environment is critical. Not only does dust irritate your eyes and nose, it’s also not safe if you can’t clearly see what you are doing. Throw in the fact that you can harm your saw if it gets too clogged up and you can see why dust collection is so important. 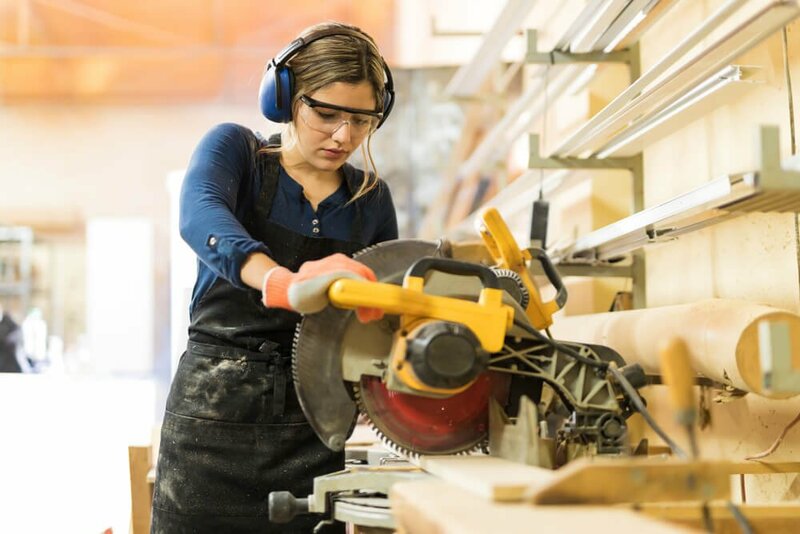 Whether you go for a circular saw boasting a dust collection bag or one you can connect to your shop vac, don’t overlook the issue of dust collection. Circular saws come with a full range of blade sizes. They range from 6 ¼ inches all the way through to 14 inches. The 7 ¼-inch blade has become the go-to choice for woodworkers and contractors alike. The size of the blade will determine how deep a cut you can make. Smaller blades can handle regular 2-inch wood even when cutting at an angle. If you want to cut through larger 4-inch sections, you’ll need to up the ante to a 12 or 14-inch blade. Consider the thickest pieces of wood you’re likely to cut and choose accordingly. Not all circular saws have brakes. If you have a model with no brake, the blade takes a short while to stop revolving when you cut the power. Those with braking systems will bring the blade to a complete halt in less than 2 seconds. Having no brake is not a deal-breaker but it’s safer to focus on a saw with this functionality. The same split is true when it comes to laser guides. Those saws that come equipped with this feature allow you to follow a beam of laser light marking out the cutting line. You can get by perfectly well without a laser guide but life is easier when your cutting is precision-guided. If you are a carpenter or contractor, it’s worth pondering just how versatile your circular saw will be. You need a saw with a tilted base for beveling so you can make precise, angled cuts. Think about your specific needs and choose accordingly. Using a circular saw is pretty easy to get to grips with. If you are looking to cut down larger pieces of material rather than working in fine detail, this is the perfect tool for the job. As with all power tools, safety should be uppermost in your mind at all times. Make sure you are wearing any appropriate safety clothing and that you keep your working area free of dust and debris. When it comes to maintenance, circular saws are not too demanding. Clean your saw off after each use and you’ll be good to go. 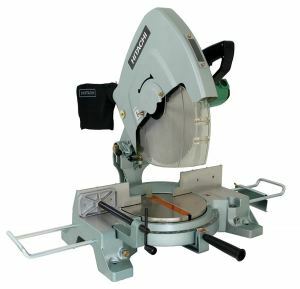 If you are keen on woodworking, whether in the home or on a professional basis, there’s little substitute for the best circular saw. As you can see, there are a number of key factors to bear in mind when you are on the buying trail. Take your time to do plenty of research. Analyze your needs carefully. Time spent at this stage is very worthwhile. The last you want is to rush out and get a saw unsuited to the jobs you will carry out with it. Once you have decided firmly on your budget and the type of circular saw that best meshes with your woodworking, it’s time to bring one home and get cutting! The depth of cut is determined by the capacity of the blade. The bigger the blade, the deeper the cut. The most commonplace blade comes in at 7 ¼-inch diameter. You can get smaller blades as well. Even 6-inch blades will rip through 2 inches of timber with one pass. 2. WHAT IS THE DIFFERENCE BETWEEN A SIDEWINDER AND A WORM DRIVE? The key difference is the positioning of the motor and the transfer of power to the gears then blade. With a sidewinder, the blade shaft and motor shaft are lined up. Worm drives have a spiral thread on the shaft at right-angles to the blade shaft. 3. CAN YOU USE A CIRCULAR SAW TO CUT METAL? You can but you will need a dedicated blade suitable for metal. Beyond this, it’s not recommended that you use the same saw to cut wood and metal. 4. WHAT IS A DADO BLADE? A dado blade, also called a dado set, is a type of circular saw blade. It’s usually used with a radial arm saw or a table saw. These blades are used to cut grooves for your woodworking projects. 5. WHAT ARE RIP CUTS AND CROSS CUTS? A rip cut is when you cut a piece of wood parallel to the grain. Cross-cuts, on the other hand, are cuts perpendicular to the grain. This tends to shear the fibers of the wood whereas a rip cut will lift up small splinters. 6. WHAT IS THE POINT OF A RIVING KNIFE? Kickback is a potential menace when using power saws. The wood becomes jammed in between the blade and the fence. It then catches on the teeth of the blade and can flick back toward you. An adjustable riving knife will move in harmony with the blade to reduce kickback. 7. DO I NEED A LASER GUIDE? No. You can get by perfectly well without one. If you want superior accuracy, though, a laser guide helps to cut straight with absolute ease. 8. ARE CIRCULAR SAWS ANY GOOD FOR PLUNGE CUTS? They certainly are. If you are making this type of cut on a regular basis, there’s no excuse not to invest in a plunge saw. If, on the other hand, you will only plunge cut from time to time, a circular saw makes a good fist of a job. Be very careful when making plunge cuts. Safety should always come first. 9. IS IT DIFFICULT TO CHANGE THE BLADE ON MY CIRCULAR SAW? No, it’s really rather simple. Watch out for models equipped with a shaft lock or spindle lock. This will simplify the process further. Take your time to choose a suitable blade and keep one in stock so you don’t get caught short. 10. WHAT IS GANG CUTTING? If you want to cut multiple pieces of plywood to the same size, clamp them together and cut through the stack with a single pass. This is gang cutting and it’s a great time saver.